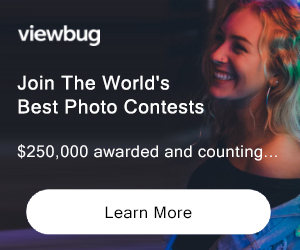 At Photo Contest Insider, we keep an up to date, comprehensive list of contests that are live and open to entries, but we are not just a photo contest directory. You tell us what contests you are looking for, and our unique Photo Contest Filter will find them for you. That’s not all, we can also send you a weekly email of contest updates and notify you via our facebook page of new and interesting contests. Photo contests can have several pages of details along with long complicated terms and conditions to read, digest and understand. At PCI we’ve simplified this, we read all the contest information and publish it in an easily digestible and bite size format, allowing you to make a quick, easy and informed decision about entering. Click here to start using the Photo Contest Filter to find contests to enter today!